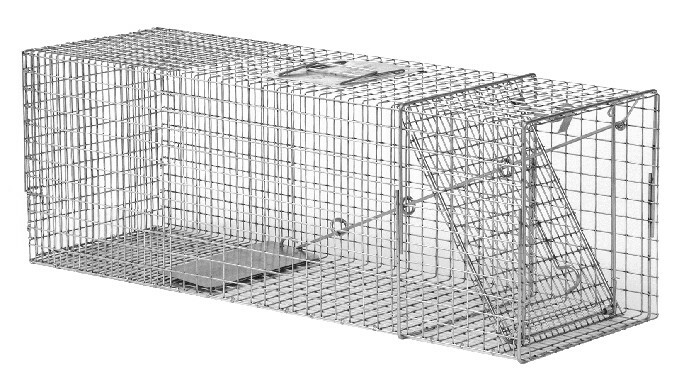 LIVE TRAP 11" X 12" X 36"
PRODUCT DESCRIPTION: Live trap which measures 11 inches wide by 12 inches tall by 36 inches long. 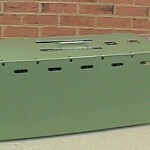 It has a locking front entrance door and a trip pan inside that will work on just about any small to medium sized animal. This trap also comes with a cover. With the cover installed, this trap can now function well for skunk. The cover is made of plexi-glass and just fits over the trap frame. No mounting is required; the handles on top of the trap will slide through the cover so you can move it, set it and utilize it with no change in trap performance. However, the cover will prove helpful by both keeping the trapped skunk comfortable and calm as well as keeping in place a barrier that won't let it scent you. 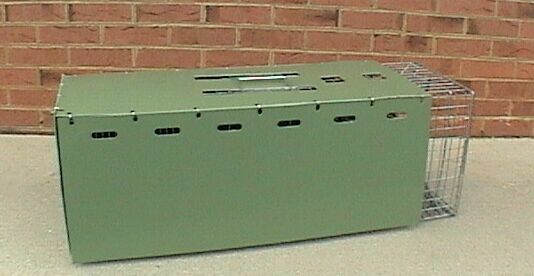 As shown in the picture below, the cover is only 30 inches long so the front door area of the trap will not be fully covered but you will still be plenty protected.. Comments on LIVE TRAP 11" X 12" X 36"
Good morning. I have two large ground hogs that I have trapped in Haveaheart brand traps – each time the ground hog has bent the gauge steel and escaped – these are new traps and are marketed for large animals. Do you have a trap strong enough to help me live trap and relocate these two ground hogs? Our traps are commercial quality which means they use a higher grade metal which won't bend or break nearly as easy compared to common retail designs. In fact we've not had one report of this happening and that's over a 20 year history with this manufacturer.